When it’s time to get rid of that computer, stereo, laptop, or other electronics, choose A-Team Recyclers for convenient and reliable electronics recycling in the Greater Chicagoland area. Using proper electronics recycling techniques, we keep electronics and the harmful chemicals they contain out of landfills and work to create a cleaner and more vibrant world. We’re trusted by schools, banks, hospitals, businesses, and community members to safely and responsibly dispose of electronics, and we offer pickup services for convenient recycling of our long list of accepted items. Recycle your electronics for free by bringing them to our Shorewood, IL facility*, or schedule your pickup by calling us today. *We do not accept TV’s from residents at our facility. With over 10 years of experience, we specialize in full service electronics recycling using the latest practices and technology. That includes data destruction processes that exceed national requirements and mobile shredding for onsite hard drive destruction that eliminates all the data they contain. Your important files will be completely destroyed, keeping them out of the wrong hands and keeping your mind at ease. Upon completion of recycling your electronics, we’ll provide a Certificate of Recycling with proof of service, as well as inventory reports that include the make, serial number, and asset ID of all whole unit devices received. Find a collection event near you or reach out to us to schedule a pickup. We’ll come right to your door to take those unwanted electronics off your hands. Looking for a way to raise money for your team, school, or community group? Ask how our service can help your organization earn money! Go green. 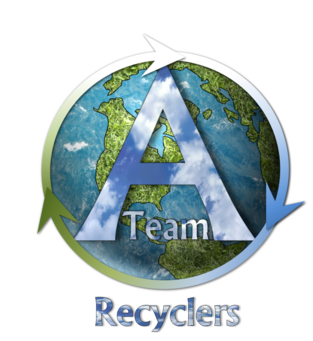 Recycle your electronics the right way with A-Team Recyclers today!